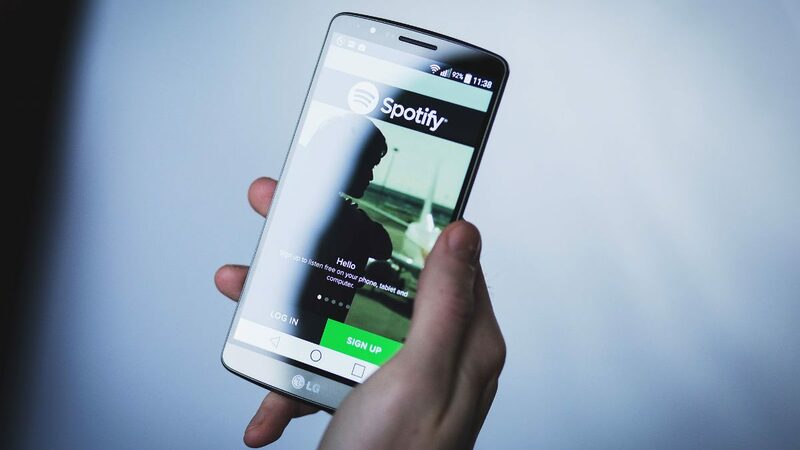 It’s finally happened: streaming music services are now the dominant form of purchased music in the United States, according to the latest figures. 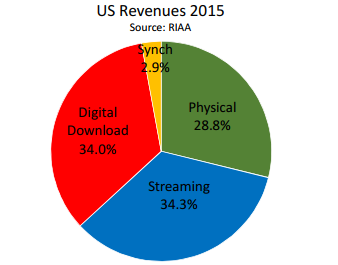 The RIAA’s released a report summarizing its music sales data for 2015. The report shows that streaming services such as Spotify, Google Play Music, Apple Music, etc. all now make more money as a percentage than physical media (such as CDs and vinyl) or digital media (MP3 purchases from iTunes, Amazon, etc.). A big shift from this time a year ago, when streaming just eclipsed CD sales, or a bit later in 2015 when streaming finally eclipsed all physical media for the first time. I’d expect in the future for physical media sales to continue to dwindle, though how much more streaming will grow remains to be seen. Engadget notes not everyone will want to listen to ads (on, say, Spotify’s free streaming tier or Pandora) or pay $10/month for streaming music (what all of the major streaming services cost). I suspect there’s also demographic differences in how much enthusiasm there is for streaming. I’ve written before about my music habits, but how do you get your music these days?